Rent or buy Terminator: Salvation here. I don't know how this movie would be for someone who hasn't seen any of the other ones. I think I'd be lost. 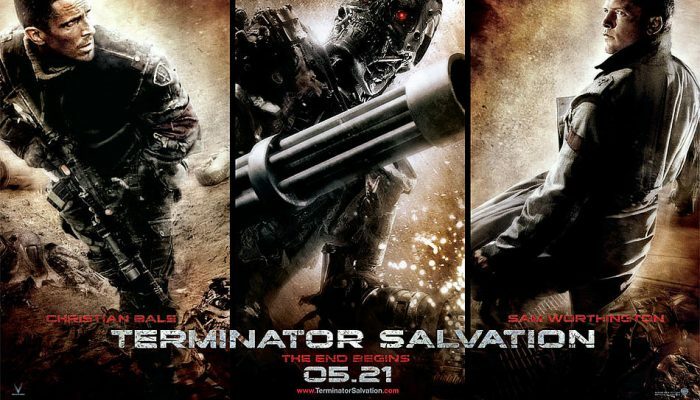 As a thrill ride, Terminator: Salvation delivers, with awesome spectacle and intense action, as well as some nice narrative tie-ins to the original trilogy (I especially liked young Kyle Reese). It effectively captures the post-apocalyptic world hinted at in the original three. That said, I feel that the Director's cut, said to contain 20 minutes of cut material, will do much to flesh out the story and characters and give the film more of the emotional weight that gave James Cameron's first two films such surprising punch. Christian Bale effectively makes for an awesome G.I. Joe, but the character of John Conner has such dramatic potential that it's sad to see him so underwritten here. Bale is more than equal to the task as an actor if given the screenplay (forget Batman, if you want to see this man really act, watch his incredibly nuanced performance as the meek and humble rancher of quiet integrity in 3:10 to Yuma). Still, even with the plot holes and lost potential, this is a fun night at the movies. MY GRADE: B. For another futuristic action-thriller, I recommend The Island, with Scarlett Johansson and Ewan McGregor. Rent or buy it here.